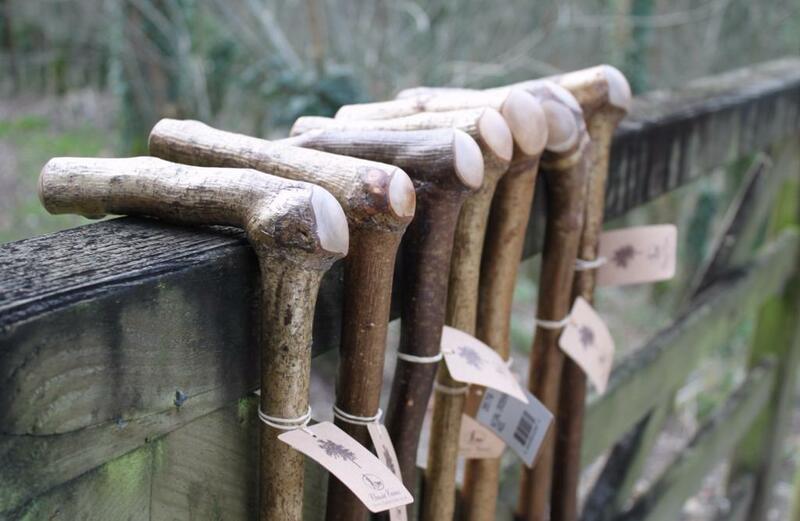 A very traditional and interesting walking stick that is also a great talking point. The method of growing them is unusual: the tiny hazel sapling is uprooted when only a few inches high and replanted on its side, with soil ridged over it. To survive, the sapling sends up a shoot, which gradually grows in diameter until it is big enough to form the shaft of the walking stick. 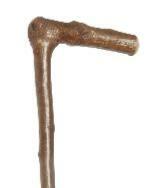 The plant is then uprooted again, and the root system is fashioned into the handle. The right angle that has been produced makes a very strong stick, because it has grown in that shape rather than being steamed and bent into position. As each root system is different, each of these sticks is unique. The shaft is fitted with a metal ferrule and has an approximate overall height of 92cm (36"). Item weight is approximately 210g.